Sam Lee set a benchmark for local professionals at the Natadola Bay Championship Golf Course yesterday. This was after he completed the four rounds of the Fijian International and was on 26th spot collecting $8,460. The 24- year old shot one under par 71 for a total score of 301 (78, 79, 73). “I’m sure I will qualify for this tournament next year, It is a great opportunity to hold a PGA Tour tournament in Fiji. 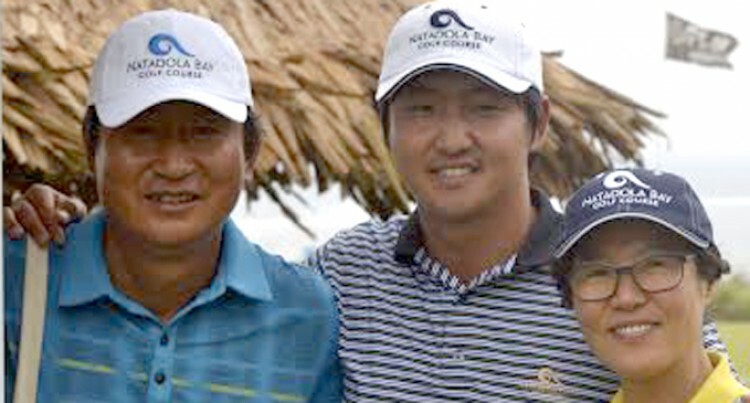 It is the first and only PGA Tour of Australasia event here,”Lee said. “Coming on the 8th hole which was my 17th I made a bad tee-off and it cost me two shots,” he said. Lee will fly to Perth, Australia to compete in the Western Australian Open and New South Wales Open. “I have received overwhelming support from many people. “The Natadola Bay Championship Golf Course and Amitesh Chandra have been supporting me together with my parents,” he said.